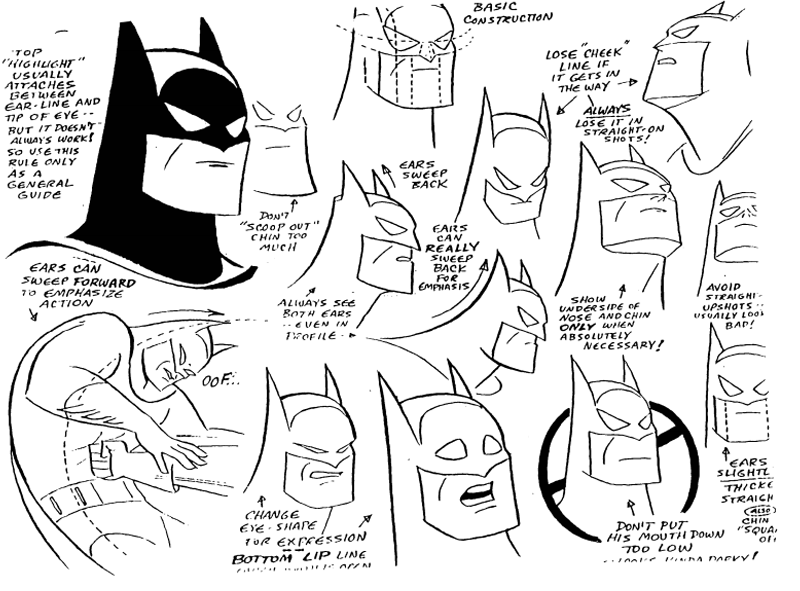 Batman: The Animated Series is easily one of the greatest animated series ever made. If you grew up in the '90s experiencing its greatness, you're a very lucky individual. Every single episode was incredible, and one of the reasons because of that was because the writing was fantastic. All of the writers on the series received a Writer's Bible full of details and insight about how the show and its characters were to be handled. It proves that the production team knew exactly what they wanted out of this show from the very beginning. The Writer's Bible was written by Bruce Timm, Paul Dini, and Mitch Brian, and it outlined every little detail of the series. It includes the plans for all of the characters, including the supporting characters in the Batman universe that they created. It also offers a ton of concept art and info on the format of the series. I included a few images from the Bible below for you to check out, but to go through all 153-pages, click here.